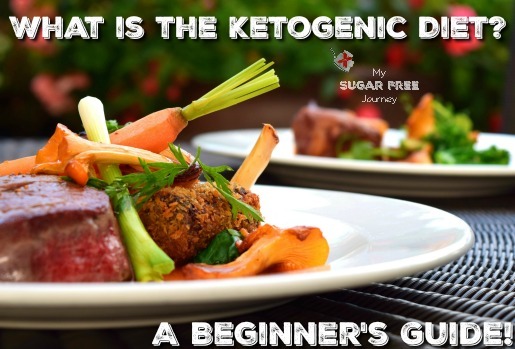 What is the Ketogenic Diet? A Beginner's Guide! Last week in our Ketogenic Training and Meal Plan Room, someone asked for something they could read about how to start and be successful on a ketogenic diet. When I started going over the basics, I realized that what I really needed was one post with everything I would want someone to know on day one of starting this way of eating. So this post will be a little longer than most but I think that if you are new to this way of eating, it should answer the big questions most people have when starting off. If you still have a question or if you think I didn’t cover something important, leave me a comment below and I’ll make any necessary changes. Your body can use 3 different types of dietary fuel for energy; glucose, fat, or ketones. In the typical person that includes carbohydrates as a normal part of their diet, the body will prefer to use the glucose that carbohydrates are converted into in the body as its main source of energy because in high amounts, glucose is toxic to the body. So every time you eat a carbohydrate, your total blood sugar level goes up and your body has to either use that sugar as fuel or store it away as fat as quickly as possible to keep your blood sugar levels where your body wants them to be. So if you ate fat at the same time you ate carbs (which usually happens. Think of a fatty hamburger on a carby bun with a side of carby french fries.) then rather than use that fat for energy, it just quickly stores it away in a fat cell so it can concentrate on the sugar. What the Ketogenic diet does is it removes those blood sugar spikes from your metabolic equation by removing carbohydrates (especially simple carbs like sugar and processed grains like bread and pasta) from your diet. 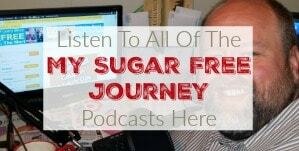 So instead of having to deal with both sugar and fat at the same time, the body only has to deal with the fat, which it does very efficiently by converting fatty acids into ketones. (This is where the ketogenic diet gets its name) These ketones are the body’s actual preferred energy source as almost every metabolic process runs more efficiently on ketones as fuel rather than glucose as less metabolic waste products are produced in your cells with ketones as compared to glucose. A very important truth at the core of the ketogenic diet is that weight loss (and overall health) are controlled not by the amount of calories that we take in, but by the hormones that are produced by the types of food we eat. (As well as other factors like stress but food is the biggie.) The main hormone that sits in the driver’s seat and exerts the most control over your weight and metabolic health is insulin. Insulin’s job is to take the glucose created by the carbohydrates we eat and usher it into a cell to be used as fuel or if we eat more than we can use, to usher it into a fat cell for long term storage. So Insulin in your body’s fat storage hormone. Anything that increases insulin makes you fatter and anything that suppresses insulin production makes you leaner over time. The ketogenic diet suppresses insulin production by removing the foods that cause insulin secretion from the diet, namely sugar and other carbs. If you would like to check out my history with the ketogenic diet, you can read how I lost over 200 lbs on the Ketogenic Diet here. What Should You Eat on a Ketogenic Diet? Fat! I know, you’ve been told your entire life that fat would give you a heart attack but that’s just not true. (Want to do more research? Here’s a list of 5 studies on the healthiness of dietary fat) You body is mostly fat, your brain is mostly fat, every cell in your body contains fat, your body needs fat to make most hormones and enzymes, your body requires fat to absorb vitamins A, D, E, and K. In short, fat is a basic building block and can be consumed in large amounts without harm, as long as it is not consumed alongside carbohydrates. The Ketogenic diet in one sentence is High Fat, Moderate Protein, and Low Carb. 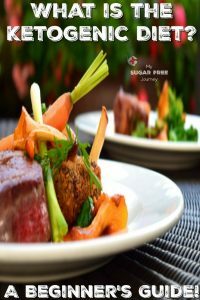 We are talking specifically about saturated and monounsaturated fats from animal sources like beef, chicken and pork as well as oils like coconut oil, lard, olive oil and butter. Essentially if it is a fat that came from an animal, eat it. You will want to avoid Polyunsaturated Fats (Sometimes called PUFAs) like canola oil, corn oil, or any oil that contains the word “seed” like sunflower seed oil, cottonseed oil and so on. You will want to avoid like the plague any trans-fats that are usually found in processed foods or anything that has the word “hydrogenated” in the ingredients list. Also, avoid anything that says “lite” or “low fat”. Any product that has removed the fat has probably replaced that fat with sugar. Again we are talking about meat here but specifically fatty meats. We want to stay away from lean meat like turkey or boneless, skinless chicken breasts as excess protein gets turned into glucose in our bodies through a process called Gluconeogenesis. So eat fatty meats like steak with a lot of marbling, pork chops with a thick rind of fat, bacon, dark meat chicken with the skin and so on. It is the low carb part of the equation that is the most important as ideally you are aiming to keeping your carbs below 20g a day. None of your carbs can come from processed sugar or grains so no candy, sweets, fruit juice, tropical fruit (grapes, pineapple, and bananas are the worst offenders but most long term keto-ers just stick with berries if they eat any fruit at all), bread, pasta, or potatoes. All carbohydrates are complex and in the form of whole vegetables, usually mixed with fat so almost any veggie on the produce aisle (except for potatoes) covered in butter works great and they can be cooked in any way imaginable. If you would like a complete list of the foods you can eat on a ketogenic diet, there’s not a better or a more complete one than the one Dr Westman gives to his patients. (Edit: That helpful resource is gone! Here’s a list of foods you can eat on a Ketogenic diet.) 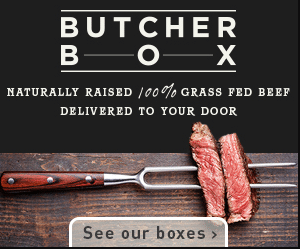 In a nutshell, you can have any meat but the fattier the better, any vegetable but you want to prefer green leafy vegetables over more carby root vegetables like carrots or squash, and most dairy up to your limit of 20g a day of carbohydrates so you want to eat the fattiest dairy available. Other things you will want to include in your diet is high quality salt like pink Himalayan salt or any salt that came from a sea bed as opposed to Morton’s that came out of the ground and plenty of water. (My personal favorite salt is Redmond’s Real Salt.) In fact, most issues that arise on a ketogenic diet, especially in the early days as you are adjusting to the diet can be solved with more fat, more salt, and more water. How Can You Succeed on the Ketogenic Diet? There are a number of things you can do to increase your chances of success. As with any big change, the biggest obstacle will be the inertia of old bad habits that will try to trip you up. For instance, when I first started I was in the habit of going to the gas station almost any time I left the house and grabbing a big fountain drink. It was so ingrained in me that I would often pull into the gas station and buy a Coke completely on autopilot and not realize what I had done until I was done the road a ways. I couldn’t even remember stopping! You will discover many bad habits you will need to break. You might always go to vending machine right at 3 PM for a snack or order pizza on Friday nights. What ever your particular bad habits are, you need to pay careful attention in the first few weeks to keep your carb intake as low as possible. You should also get some support, perhaps that would be from your family members or close friends or maybe you join the ketogenic training group I created. When you join, you get a new ketogenic meal plan sent to you each week as well as access to our Facebook community with over 1000 people who are improving their health and losing weight with the ketogenic diet. Every night I have a new Facebook live video with important training you need to know about the ketogenic diet as well as encouragement to help you succeed. To sign up, just click here! 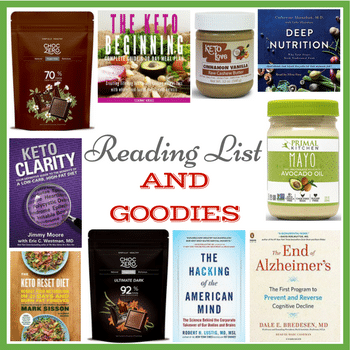 I also have a handy checklist of things you can do to succeed on a ketogenic diet here. What Should I Expect on a Ketogenic Diet? The first few weeks on a ketogenic diet can sometimes be a little difficult to get through if you don’t know what’s coming so let’s be clear about what you can expect. 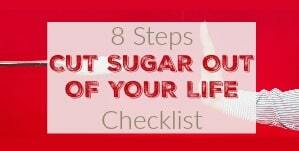 Chances are you are a sugar addict so when you stop eating your sugar filled snacks, you will probably experience some sugar cravings for a few days to a few weeks. These can be pretty intense depending on how often you were eating sugar before you stopped. The only thing you can do is just get through them. If you cave and eat something with sugar in it then the whole cycle starts over and you just made things worse for yourself. You have got to go through this withdrawal stage to break through your addiction. One of the places your body stores excess sugar is in water in your muscles in the form of glycogen. As you lower the amount of sugar consumed, your body will begin to dip into these sugar reserves and as that happens, the water contained in the muscles drains off. 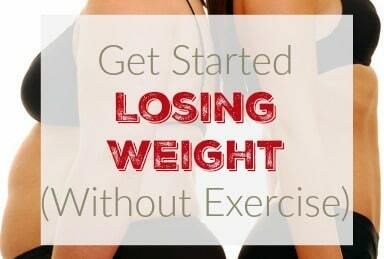 This will usually result in a fairly rapid weight loss of 10 pounds or more in the first week or 2. While it’s great to see those numbers on the scale go down, don’t get too excited as most of it will be water weight. This will also mean that you will probably go to the bathroom much more often than normal in the first few weeks as your body sheds this excess water. Losing this water can also lead to mild dehydration which can leave you feeling drained and having flu-like symptoms, sometimes referred to as “Keto Flu”. This also happens while the body has depleted most of its sugar reserves but hasn’t quite switched over to full-blown ketone production. Don’t worry, it usually passes within a few days and can be shortened by upping both your water and salt intake. Beyond this early transitional time, the ketogenic diet is fairly smooth sailing. 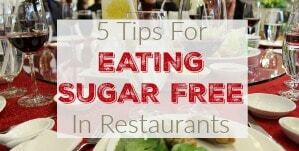 Once the sugar cravings disappear and the ketone production goes up, you should expect to feel more energy and can see weight loss of 1-3 lbs a week, depending on how much weight you have to lose. Weight loss – This is the biggie. Once you lower your insulin levels, you should begin to see steady weight loss until all excess weight is gone. Again, you can read my story here. Type 2 Diabetes – Lowering the amount of sugar consumed means less work for your pancreas to do as it is your pancreas’ job to produce insulin. 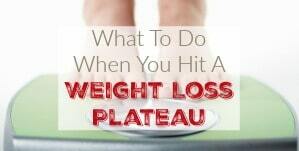 Let your pancreas rest long enough and chances are you will regain full function of it. Keep your blood sugar levels low enough and your A1C should drop like a rock. Cholesterol – A ketogenic diet will raise HDL cholesterol (the “good” cholesterol) and lower VLDL cholesterol, the smallest densest particles of LDL cholesterol that actually cause heart disease. It also will lower triglycerides which is an important factor in heart health. Blood Pressure – Insulin makes your blood vessels more rigid and incapable of flexing with each heart beat which means blood pressure tends to rise with insulin resistance. Once you lower your insulin levels, your blood vessels will relax and BP should fall. Epilepsy – Before anti-seizure medications were invented, a ketogenic diet was the only option for epileptics and it worked very well with none of the side effects of the medications. If you would like more info on this, I recommend you check out the work that The Charlie Foundation is doing. Cancer – Insulin stimulates increased cell reproduction and cancer is essentially cell reproduction run amok. Combine that with the fact that cancer consumes sugar to produce energy, it’s easy to see why the typical high sugar diet most of us eat or ate at one point increases our chances of getting cancer. There are plenty of other benefits, most of which we go over in detail in the 28 Day Challenge group but suffice it to say, a ketogenic diet improves your metabolic health on pretty much every front you can imagine. Would you like to try it out? Come join us in the 28 Day Challenge room today! NEXT POST Next post: 7/26 Weightloss Wednesday: Celebrating Too Hard!